Custom-built in 2012, 1555 Century Avenue serves as NYU Shanghai’s main campus and thriving intellectual center. 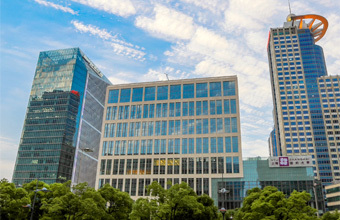 Located in Lujiazui, Shanghai’s thriving financial district, it is near some of the world’s most iconic buildings--the Oriental Pearl Tower, the Shanghai Tower, and the Shanghai World Financial Center--and within walking distance to popular restaurants, shopping malls, and parks. The 15-story Academic Building is easily accessible by subway, bus, car, and bicycle. It features large lecture halls and intimate seminar rooms, a spacious cafeteria and café, a 300-seat auditorium and state-of-the-art science laboratories, faculty and administrative offices, and an expansive library housing physical and electronic collections networked to NYU’s global library. Wireless IT services and a robust IT infrastructure ensure the students and faculty are always fully connected to the NYU Global Network. The NYU-ECNU joint research institutes at NYU Shanghai are located in the Geography Building at East China Normal University. For more information about working at the Zhongbei Campus, please reference the FAQs. 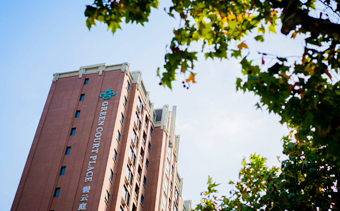 Located in Shanghai’s Jinqiao neighborhood, our Residence Halls are a short bus or subway ride from the Academic Building. 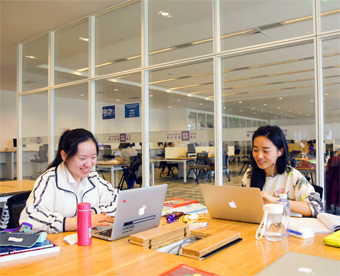 The Residence Halls were built to NYU Shanghai’s specifications in 2014, are fully-networked, and offer students a range of housing configurations. NYU Shanghai shuttle buses run regularly between the Academic Building and the Residence Halls.